This combine of six line kundan bangles provides a satisfying look to your arms in terms of accessories embellished with stunning white kundan stones placed on a gold plated brass metal frame. 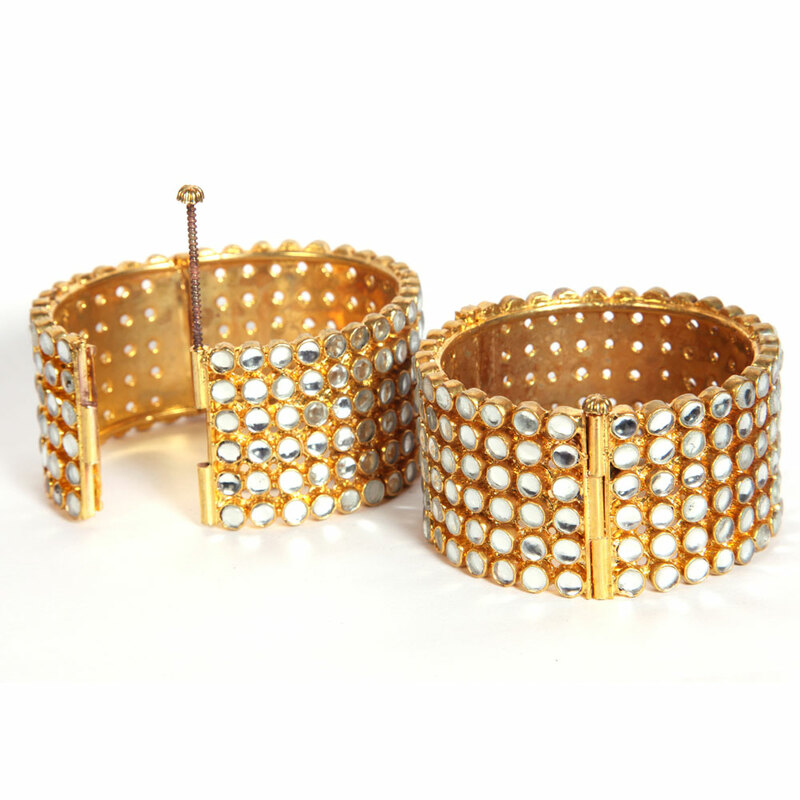 This pair of six line kundan bangles provides a fulfilling look to your arms in terms of accessories Decorated with beautiful white kundan stones placed Read More..on a gold plated brass metal frame, the bangles, which are available in a standard size, are perfect to wear with any dress and for any function. Show Less..